The great tragedy of Sen. John McCain is that he served as a Republican who worked with Democrats toward their leftist anti-American agenda. 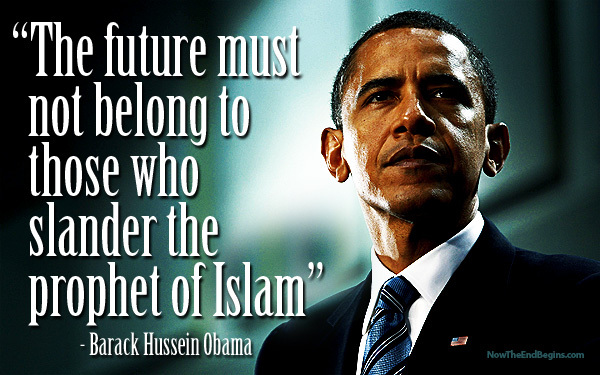 Greater still was his 2008 campaign in which he laid down for Obama, an America-hating Moslem socialist, to take control of the nation while at war with Islam and impose his will on the free world. 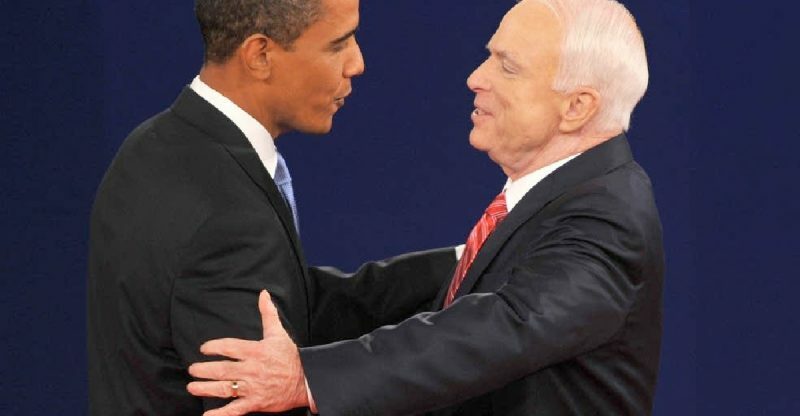 McCain joined with leftists who curse Trump as not being leader of the free world but praised Obama as he subsumed the free West with his Islamic ideology. As, no doubt everyone in the country knows, longtime Republican senator, NeverTrumper, and aisle crosser, John McCain died this past weekend. McCain’s long career as a senator from Arizona has been one of great success – for Democrats. 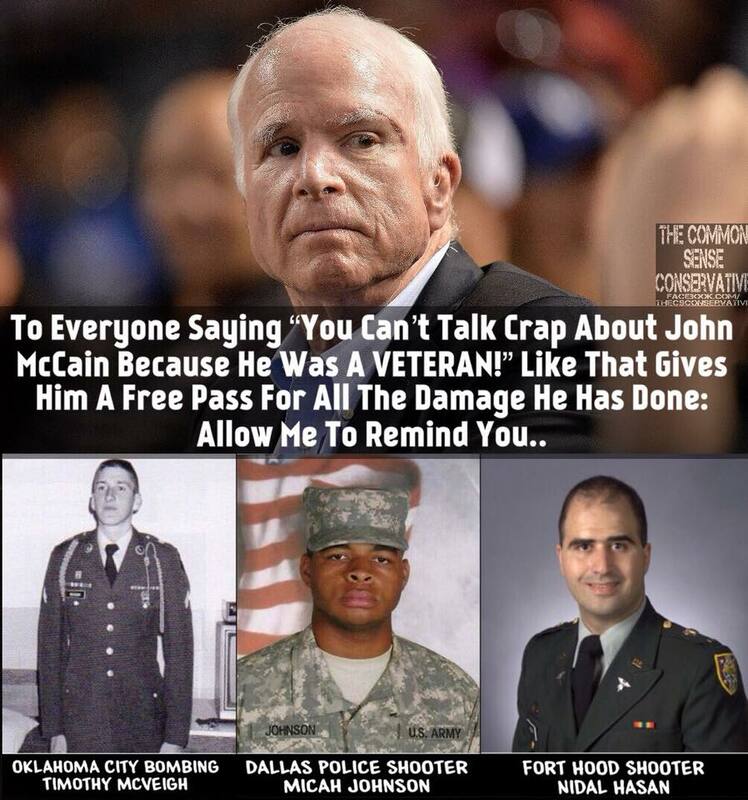 A well known RINO, McCain has been lauded for his service and imprisonment in Vietnam, but not for his service to the country as a Republican. He worked relentlessly with Democrats as a “compromiser,” helping get the Democrat agenda passed in the Senate, as well as condemning the American military under Bush as torturers at Abu Ghraib. The greatest America tragedy is McCain winning the Republican nomination in 2008 to run a milquetoast campaign against the man who would become America’s first Moslem socialist president of African descent. He mistakenly selected a superb conservative, Gov. Sarah Palin, as his VP running mate, and then proceeded to run her down as rogue when she aggressively criticized Obama, attacking his lowly, anti-American character. For eight long years helped Obama from within the Republican Party promote the Democrat agenda. 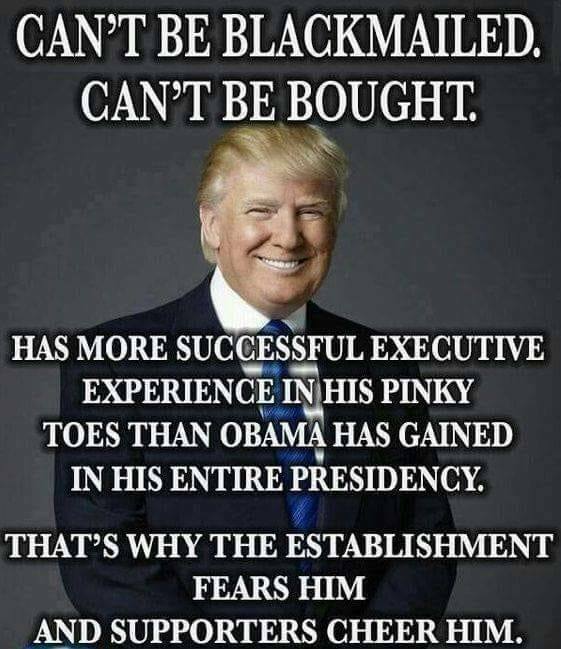 And, as a bonafide member of Boehner’s GOP Swamp Rats, he would stand against Donald Trump, joining the NeverTrumpers to condemn the billionaire business genius as a racist, sexist, impertinent political upstart. McCain, along with his co-Arizona senator, Jeff Flake, stood shoulder to shoulder with Democrats against the Trump Train that has been working to revitalize America’s economy to make America great again. Now that he’s dead, no one is celebrating, but Republicans are breathing a sigh of relief. Some called him a maverick, but as the 51st vote in the Senate, McCain stood in the way of the Trump agenda by abstaining from voting forcing Vice President Pence to be the tie breaking vote on several occasions. 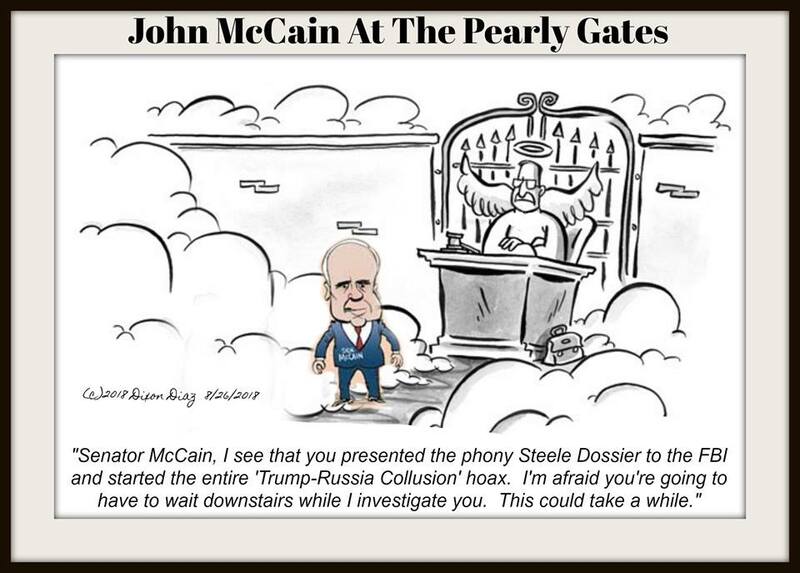 McCain will not be missed or lamented, except by Democrats and his RINO buddies. He was elected to his last term in 2016 on Trump’s coattails that he grabbed and tried to drag backwards with his Democrat friends. Flake is already on his way out the door, which opened the way for Arizona to elect one senator who will work with Trump to make America great again. McCain’s demise now opens the way to having two senators who will work for Republican voters rather than with Democrats. Now it is up to other red states to elect more Republicans to replace Democrats and get the country firmly into the fast lane back to prosperity. Trump has undone much of Obama’s damage, but disaster still looms if Democrats retake power and reinstate Obamaism to manage America’s decline once again. This November is as vital to America’s future as 2016 was in kicking Hillary to the curb and putting a business genius in the driver’s seat. 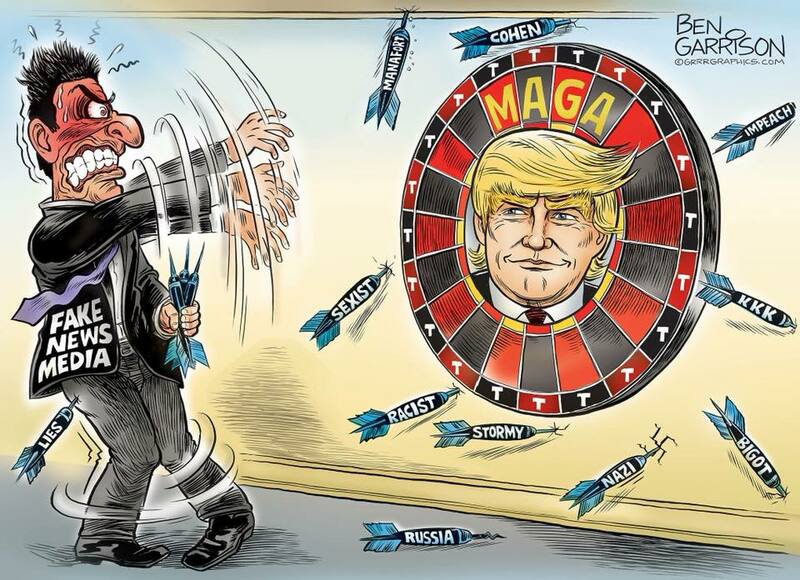 America’s economic engine is fired up and the Donald is revving the engine of the mighty machine. It is now a matter of not allowing Democrats to foul the fuel and stall that engine by reinstating their thieving socialism once more. This entry was posted in Politics and tagged 2018 Midterms, Arizona Senate seats 2018, Barack Obama, Donald Trump, John McCain, McCain dies, RINOs, Sarah Palin. Bookmark the permalink. Voters had many chances to vote McCain out of office, but they are creatures of habit when it comes election time. McCain was more of a loose cannon than he was a maverick. I hope his replacement is more interested in saving America than voting with Chuck U. Schumer.